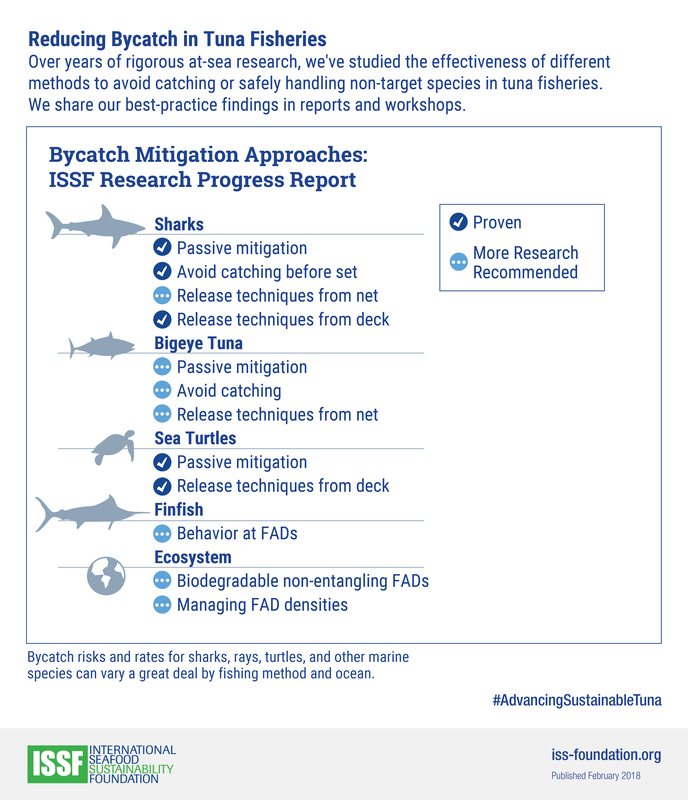 This infographic is based on years of ISSF research into best practices for (1) avoiding catching non-target species during tuna fishing operations and/or (2) handling and releasing those species, when they are incidentally caught, with the best chance of survival. It shows the areas where best practices have been identified for sharks, bigeye tuna, sea turtles, and finfish, and also which methods warrant additional research. Created in January 2018, the infographic is from the Advancing Sustainable Tuna Fisheries microsite, which explores ISSF’s accomplishments to date as well as strategic goals in the 2018-2022 ISSF Strategic Plan.